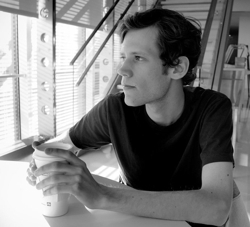 Last Friday, we wrote about 4chan founder Christopher “Moot” Poole’s stealthy startup, Canvas Networks, which just raised $625,000 in funding. Poole has revealed the names of the investors in the round, which are impressive to say the least. The investors are Ron Conway, Marc Andreessen, Chris Dixon, Kenneth Lerer, and Joshua Schachter. Lerer led the round. Poole is still remaining tight-lipped on the exact details of Canvas, but he did tell us that it is “a re-imagination of the online community– a look at what forums might be if they were invented today.” A few months ago, Poole told The New York Times’ Nick Bilton that he was “working on a new project to reimagine what an image board should be today using the current technologies available.” It also appears Poole has bought the domain “Canv.as” for the project. Poole is best known for founding 4chan, an online bulletin board where anyone can post comments, expound on topics and share images. Poole was featured as one of Time Magazine’s 100 most influential people in the world last year. As of March, 4chan was receiving around 8.2 million unique visitors per month and receives an average of 800,000 new posts a day. Brian Pokorny, CEO, dailybooth; and Andrey Ternovskiy, CEO, Chatroulette.